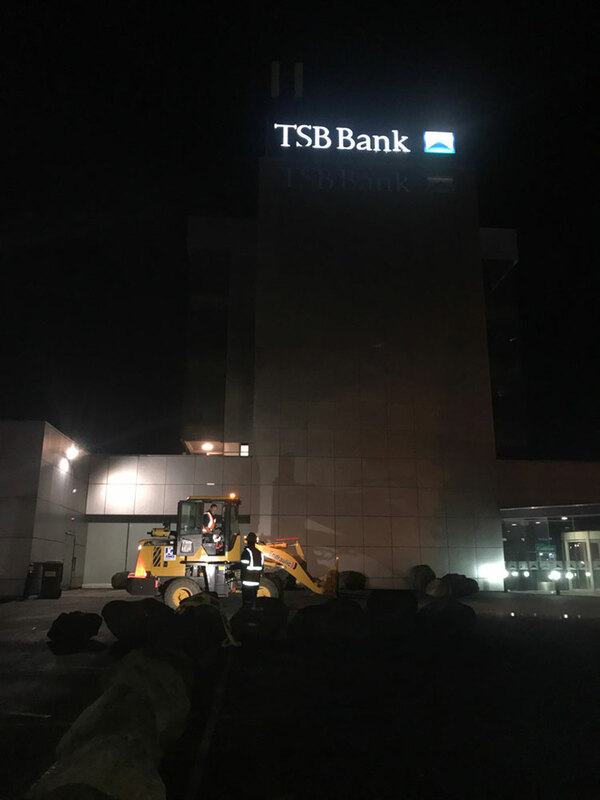 Resurfaced the yard entrances with recycled asphalt. 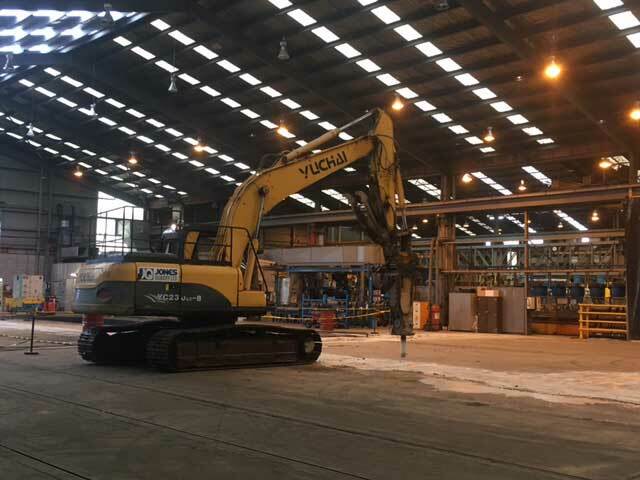 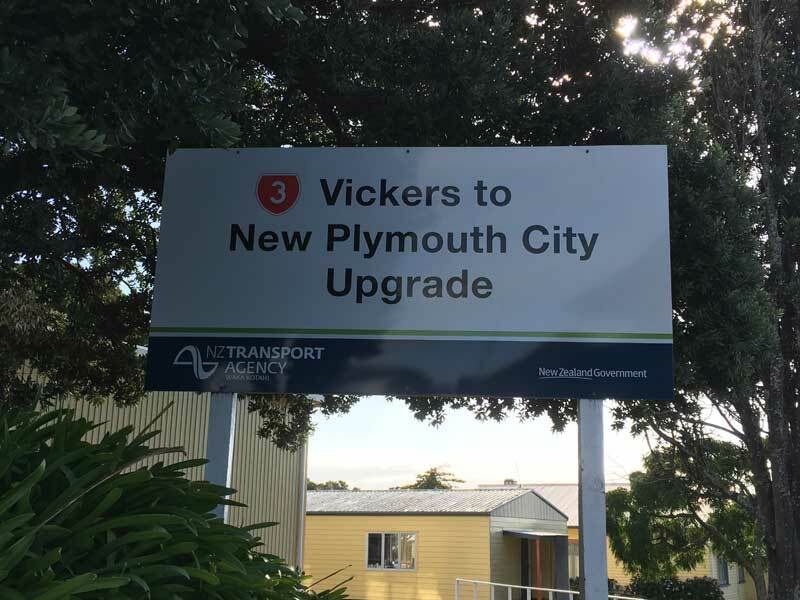 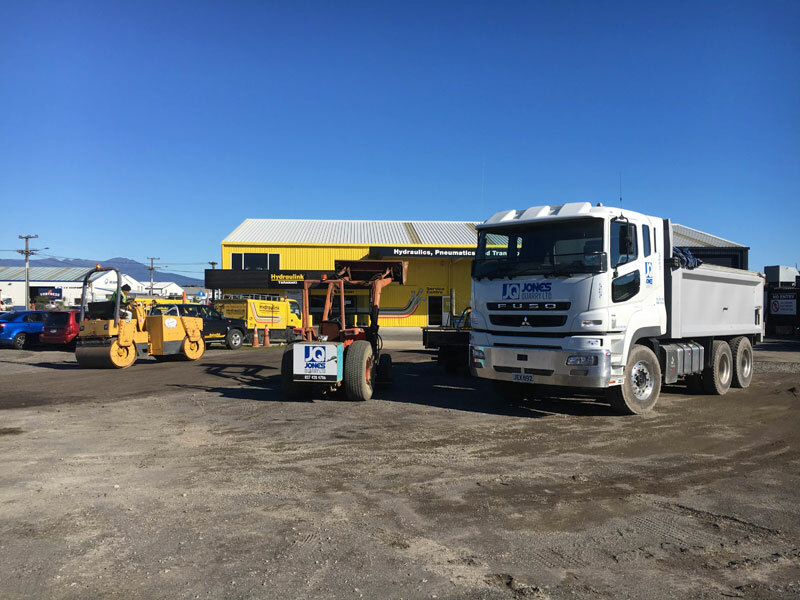 Bulk supply and cartage of spec aggregate to the ‘Vickers to New Plymouth City’ road upgrade for Fulton Hogan. 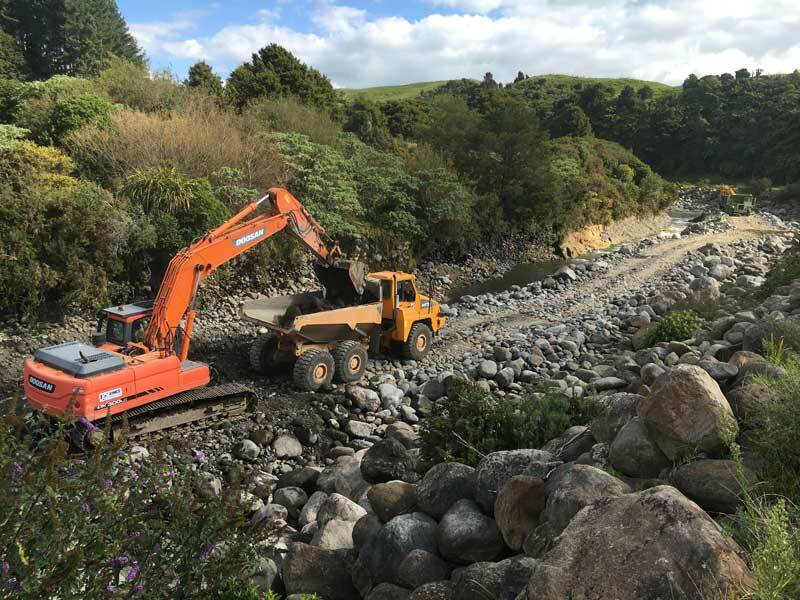 Waiwhakahio River flood protection work, cleaning out the rock build up in river and also undertaking rock wall maintenance. 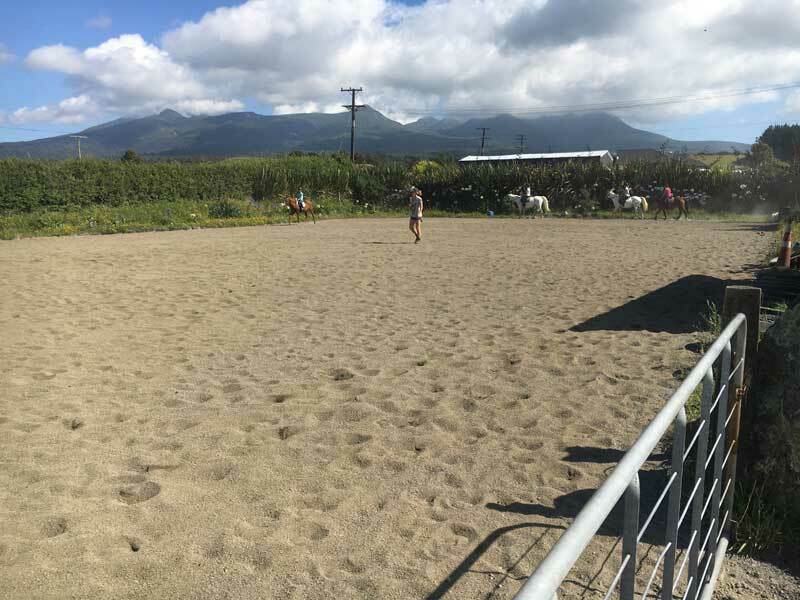 Supply of material and placed level compact as well as final grade and preparation for the Clearwater Riding Academy and several other clients. 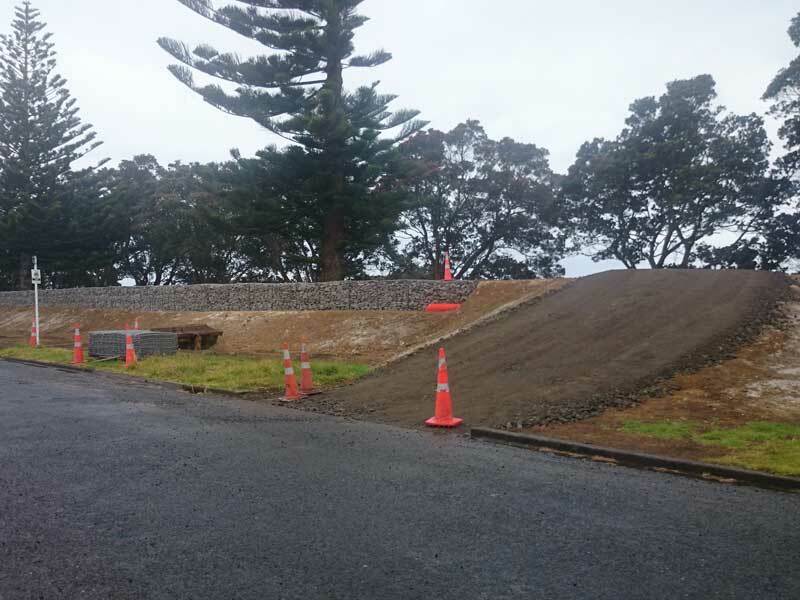 Supply and delivery of bulk clay for Waitara’s stopbank upgrade, as well as the provision of gabion stone and gabion baskets for the project. 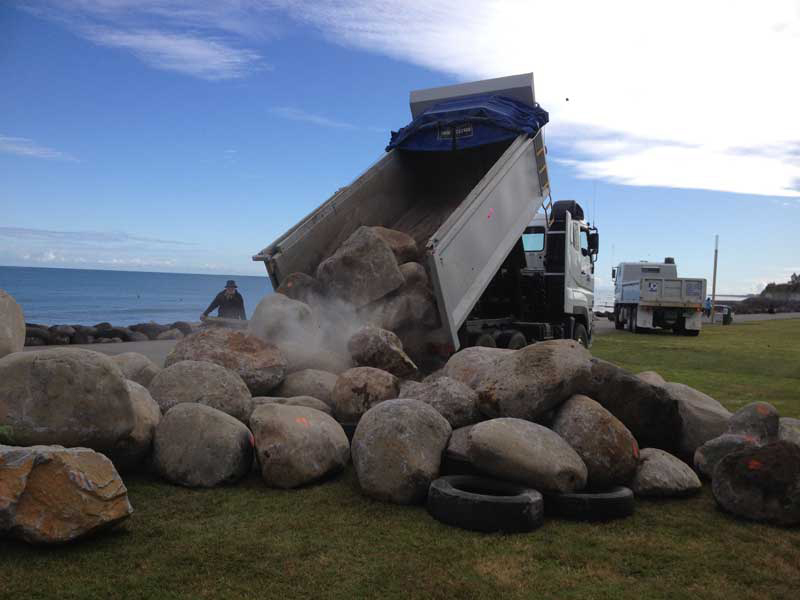 Donated large rocks to Te Kupenga Stone Sculpture Society for its biennial stone sculpture symposium on New Plymouth’s foreshore. 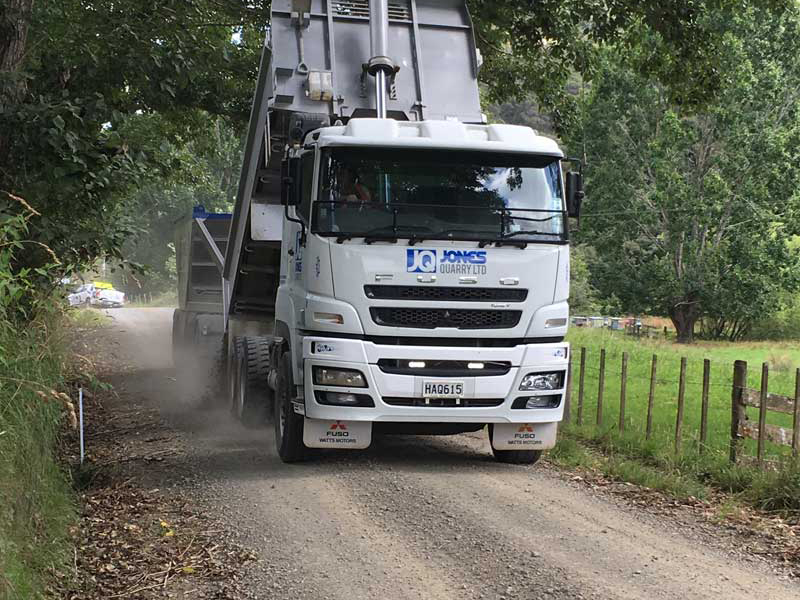 Contracted by Fulton Hogan to overlay back country roads with AP40 aggregate using our truck and belly spreader units. 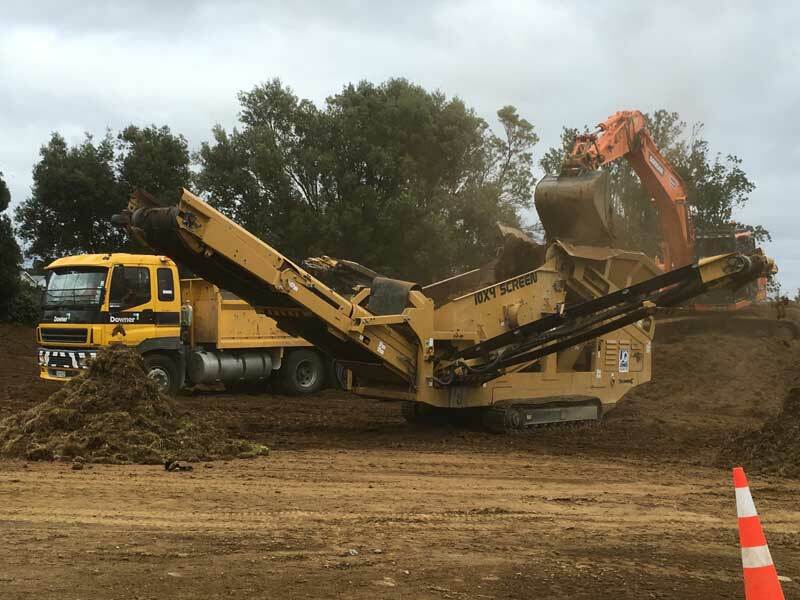 Onsite screening of topsoil of rugby fields for Downers Group.